What Cheese Is Similar to Gruyere? Article Highlight: How Is Swiss Cheese Made? If your gourmet taste preferences include cheese, you'll be excited to discover the variety of cheese-related articles published on LoveToKnow Gourmet. Cheese is just as interesting as it is tasty, so you'll delight in enhancing your knowledge of this rich and creamy dairy treat. Whether you're interested in learning how to make your own cheese, are looking for a delightful recipe using cheese, or simply want to learn more about your favorite cheese variety, you're sure to find something that captures your attention here. Learn what's involved in cheese making, including the overall process of making cheese. You'll also find specific instructions for making goat's milk cheese, feta, and mozzarella. Find out how to make baked brie and a selection of additional delicious appetizers featuring brie. Also discover how to make your own feta cheese dressing and tasty blue cheese mousse. 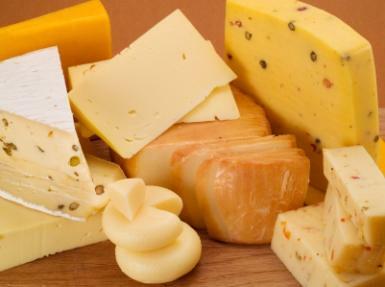 Discover a variety of fun and interesting facts about cheese, including the history of cheddar cheese and how Swiss cheese is made. Find out about different types of cheese, including various kinds of French cheese, marscapone, Gruyère, blue cheese and more. When you're looking to expand your knowledge of high-end cheese, there's no better resource than LoveToKnow Gourmet. Whenever you're looking for a new gourmet recipe featuring cheese or you want to discover new and interesting information about the history or usage of a certain variety, chances are you'll get the information you need right here. Make this site your first source on your quest to go beyond the basics when it comes to upscale cheese.